Stability test chambers used by pharmaceutical & drug companies in product research & development need the most reliable, powerful design and construction available. SCS has more than 40 years of experience engineering and manufacturing walk-in pharmaceutical stability chambers for major pharmaceutical companies worldwide. We bring a level of expertise no company can match. 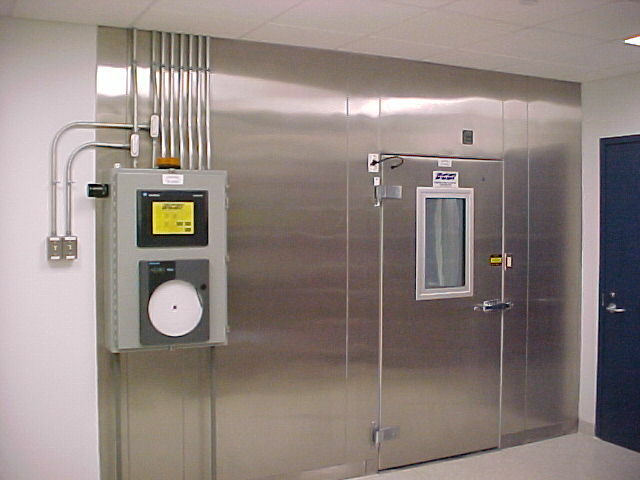 The custom walk-in stability chambers we supply are designed for a number of different pharmaceutical areas, including long-term, accelerated and photostability studies. For flexibility and versatility, we can design and build single-compartment to multi-compartment stability chambers to accommodate multiple concurrent studies. We are highly experienced in designing and manufacturing stability chambers to the specifications generally required by most pharmaceutical companies: 25°C, 60% relative humidity and/or 40°C, 75% relative humidity. However, we can design your walk-in drug stability chamber to nearly any temperature or humidity level you require, with constant, uniform controls in place for accurate testing. Scientific Climate Systems is your go-to stability test chamber manufacturer, and we are also a leading source for temperature chambers, humidity chambers, and cold cleanrooms. The walk-in stability chambers supplied by Scientific Climate are the standard of excellence within the pharmaceutical industry.